-Features a low 12" profile and a handling capacity of 6000 lbs. 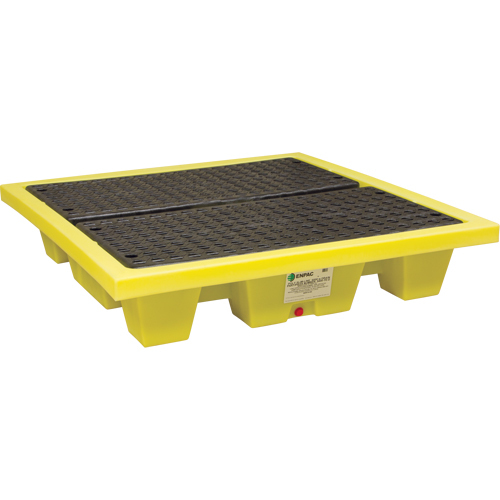 -Removable grates -Forkliftable -Regulations: EPA 40 CFR 264.175, SPCC, NPDES and UFC -Length: 54" -Width: 54" -Height: 12" -Spill Capacity: 66 US gal. -Load Capacity: 6000 lbs. -No. of Drums: 4 -Weight: 84 lbs.